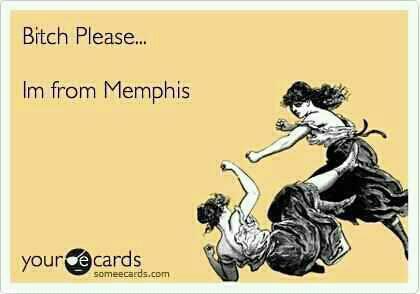 Not only am I from Memphis, I’m from Whitehaven! I was sitting on my couch, watching some TV and thinking about how I haven’t written anything thing lately. So I got up and moved into my dining room to type up a blog. I couldn’t think of anything so I looked out the window and guess what I saw. I’ll tell ya what I saw. I saw the neighbor’s elderly father (could be grandfather) sitting in his motorized wheel chair. This is not a first. I’ve seen him out there a lot. It’s like they park him out there when the house gets crowed or they think he needs air and sunshine. So park grandpa in the front yard in the Alabama HEAT. Seriously, it’s in the 90’s and humid. This is the weather that you are normally told to keep your pets inside and keep an eye on overheating old people. They usually park him in the middle of the driveway. NOT TODAY! Today he is at the end of the driveway. It seriously looks that the old guy has had enough, isn’t gonna take it anymore and is gonna run away. All that’s missing is the small plastic suitcase we all had as children. Stupid kids, never listen to me, park me in the driveway like some damn plant. I’m outta here suckas! I feel really bad for the man. The dogs have seen him and are taking turns barking at him. It’s almost Lassie-ess…What’s that girl? Grandpa’s over heating? I really feel bad for the man but there is really nothing I can do about it. These are the same neighbors that let their tree fall through my fence and didn’t offer to pay to repair the thing. I can just imagine going over and asking gramps if he wants to come in for so lemonade. I’d be accused of old-napping. (See what I did there, he’s no kid.) Oh well. Let’s see, what else. Cruise booked and halfway paid for. Y’all knew that. Got some REALLY good news on a personal matter that I can’t share here but just know, for this “Cathy” it’s some really good news. OH! I finally got my garage door replaced yesterday. For those of you who don’t know, I broke my old garage door about a year ago. How you ask? Well, I kinda sorta forgot to open it before I put my brand new car into reverse and backed out of the closed garage. Yeah. That’s what I did. I’ll never forget that day. As soon as I did it the door to the kitchen opened and out popped Brian’s head. I wanted SO badly to yell at him like it was his fault but he did such a good job of not laughing at me. Anyway, I quickly realized I had no one to blame but myself. Ah, good memory there. What else….so work has changed. Dear Lord has it changed. I just got a crap ton of new work dumped onto me. Me and two other people because we are flexible, experienced and low maintenance. Hear that?! I’m low maintenance! Who knew? So yeah, my workload just increased tenfold but that’s OK. Such is the life of an auto claim rep. I did meet my new boss today. LOVE HER. My old boss, Daryl recently transferred out of the state back to his home state. Daryl was an AWESOME boss. Really one of a kind and he kinda reminded me of my dad. Or how I think my dad’s claim reps felt about him before he retired. I really lucked out with the new boss. She’s real laid back and treats us like the adults we are. Thank god. I’m actually looking forward to really working hard for her. So life at the work house is busy busy busy but it’s going to be good. So that’s what has been going on in my little world. Smiling each day, loving the life God has given me and the people in it. Letting my haters be my motivators and such. LOL. I refuse to YOLO cause that makes me want to choke someone. Should have some interesting posts soon….Tenacious D concert in two weeks (HELL YEAH), trip to Knoxville to see my K’ville Goodmans (or is it Goodmen?) that I’ve missed OH so much and to see their new addition to the family. I was recently asked when are you coming to see my child? He starts high school in the fall. Funniest text I got that day. Then I realized he was born in February and I hadn’t been to Knoxville in a long time. So off I go. Well, time to walk the dogs and call it a night. Talk to y’all soon children!